The best of what we do, delivered directly to you, ready to eat or reheat. The food is created freshly on the day of delivery, and either goes into recyclable and disposable kraft boxes, or ceramic dish, ready to go straight into the oven. Whether for evening meals, parties, picnics, sporting events, freezer stocking or dietary plans. A simple solution to entertaining, family dinners, or cosy night in. Our new daily gourmet delivery food service, creating fresh dishes from daily market seasonal produce. A sublime, frequently-changing menu using the finest British ingredients of the season. A decadent and civilised afternoon treat. Select from the classics, leave it up to us, or create your own. ORDERING AND DELIVERY Orders must be received two days before delivery. 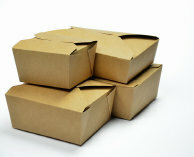 For certain dishes, delivery can be arranged for the following day. Minimum order is ï¿½60, plus a nominal refundable deposit for the servingware and cool bags. Delivery is free within a 10 mile radius of Edinburgh (EH3) or Central London (WC2N).